Stop at any fountain in the city, drink the clean, cool water and quell your thirst – that’s how it works in Lucerne. Switzerland is rich in water. Starting in the 1870s, Lucerne’s modern water supply has been structured with great care and thought. The old water system supplying the fountains even dates back to the 15th century. For several hundred years, almost all public fountains in Lucerne have been fed through a separate system with water from sources from Kriens, a municipality situated directly at the foot of Mount Pilatus. The water at the ochs und junior workshop comes partly from sources in the Eigenthal valley, partly from the very clean Lake Lucerne, and partly from the groundwater in the valley of the Kleine Emme River. Both Lake Lucerne and the Kleine Emme River are perfect for a refreshing dip after a long bike ride in summer. And the Eigenthal, a high mountain valley situated at the northern foot of Mount Pilatus, is a gorgeous place; I once collected 2kg of almost perfect porcini mushrooms there while on a mountain run. In winter, I occasionally head up to that region for a quick cross-country skiing session before work – and am still, after a drive of only 20 minutes and a quick shower, at our workshop by 9 AM. Out of respect for the extraordinarily high quality of our water supply system, and also for ecological reasons, we serve that water with our espressos. And we pay for it, too. Since mid-2014, we have been supporting the initiative of Morris and Lior Etter. 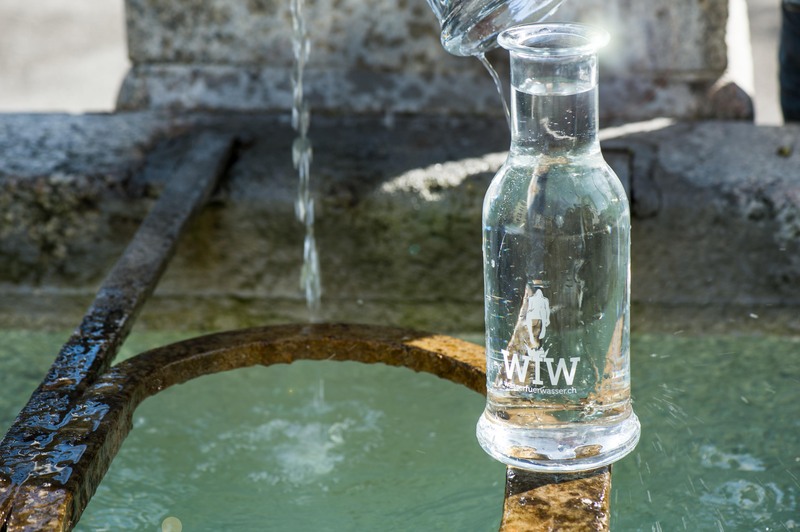 The two brothers from Lucerne founded “Wasser für Wasser” – Water for Water (WfW), a smart charitable organization that redefines how restaurants and businesses view, and treat, tap water. We, too, pay a monthly contribution (in addition to the very moderate water prices due in Switzerland) to support the cause of this Lucerne-based organization. In Zambia, WfW uses the collected donations to create, in collaboration with local partner organizations, sustainable drinking water supply systems and to offer professional training.